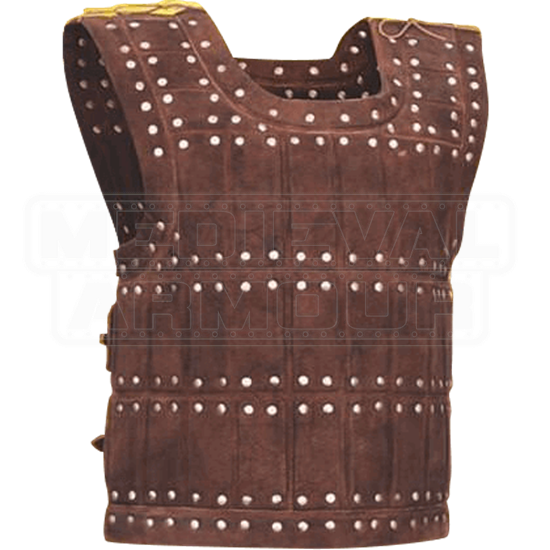 No matter your choice of weaponry in a battle, a brigandine is ideal for maintaining or repairing your armor at a moments notice. Now you can embrace the clever design on this arming wear by donning the Highland Suede Brigandine! Crafted from rich suede leather, this light armor piece embodies the innovative construction of the brigandine with exceptional details that are designed to support the wearer. 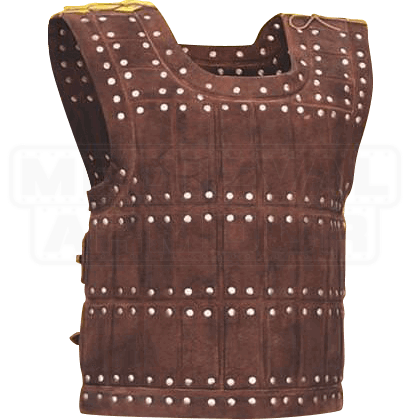 The rich material hosts the iconic padding of this traditional armor vest while allowing free range of motion for when the situation grows dire. Fearing an untailored fit is a thing of the past because the two buckled straps allow for an adjustable fit to keep you properly defended! Dressing for a Renaissance fair, a reenactment, or just wanting to feel like a warrior, this brigandine will suit every occasion! Whether archer or knight, no warrior should face the heat of battle without the Highland Suede Brigandine!